The BioBased Cluster Excellence Initiative (BBCEI) is based on the previous work of the European Cluster Excellence Initiative (ECEI). This initiative, supported by the European Commission, DG GROWTH, aims to develop and introduce a framework of indicators and an assessment methodology in order to identify cluster management organizations with excellent working practices, which could potentially serve as key partners for policymakers in achieving their goals for regional economic and social development. The initiative has also developed a training concept and training measures to support cluster management organizations in their quest for excellence. Cluster Management Excellence is still not fully developed in the Danube region.There is a lack of advanced cluster policies and systematic cluster support schemes in the individual countries of the Danube region, and existing clusters often lack the critical mass of industry. None of the previous EU programmes has addressed this issue properly. Cluster initiatives focusing on bio-based industries face significant challenges as they operate within an emerging industry with specific demands that cannot be properly addressed by traditional networking and matchmaking. The DanuBioValNet synthesis report has identified more than 100 cluster initiatives dealing with elements of bio-based industry. At least 50 of them address the core topics of this sector. 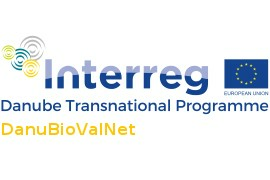 The idea of the BBCEI is to support bio-based cluster organizations in improving cluster management excellence in the Danube Region in order to better address the upcoming challenges in the field of bio-based industry within and beyond the DanuBioValNet project. This can be achieved by mutual benchmarking and Bronze Labelling of cluster organizations according to the European Cluster Excellence Initiative approach (www.clusteranalysis.org). • To increase the European visibility of cluster initiatives from the Danube region in the biobased industry sector. • Increased international visibility due to the widely recognized ECEI Bronze Label, also opening up a pathway to sophisticated EU cluster development programmes and funding, such as the European Strategic Cluster Partnership under the COSME programme. Policymakers will receive more information and gain better access to information about bio-based industry-related cluster development in their region. They will also receive a broad range of inputs and advice for drawing comparisons with other regions and their strategies for development. BBCEI is a joint undertaking of the DanuBioValNet partners (for more information see www.interreg-danube.eu/danubiovalnet) and is coordinated by ClusterAgentur BW in close cooperation with the ESCA. Please find more on the initative in the attached document.